Perennial plants are thebrbackbone of nearly every flower garden. Unlike annual plants, which must bebrreplanted each spring, herbaceous perennials die to the ground at the end ofbrthe season, and then regrow from the same roots the following year. 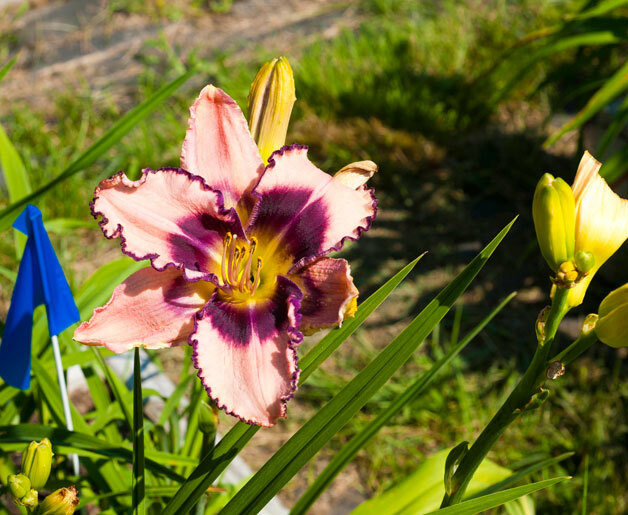 People growbrperennial flowers because they are such easy-care, dependable performers, andbrbecause they offer an enormous variety of color, texture, and form. Thebrfollowing tips will help your flower garden be the envy of your neighborhood. Whenbr planting a new perennial garden, prepare the soil well at the outset. Thatbr may be your only opportunity to loosen the soil, remove rocks, and addbr organic matter. Ifbr you start plants by seed, put your first-year seedlings in a “nurserybr bed” rather than directly into your flower garden. They will notbr bloom or have much of a presence until their second year anyway, and abr nursery bed will allow you to keep a better eye on their performance. Mostbr perennials should be divided in early spring when new growth is only a fewbr inches high. If you miss your chance in the spring, wait until fall.br Irises are the one major exception to this rule: they should bebr transplanted in early summer, right after they have bloomed. Keepbr newly transplanted perennials well watered for the first few weeks. Waterbr deeply to saturate the entire root ball and establish good contact betweenbr the roots and the surrounding soil. Mostbr perennials prefer a pH of about 6.5, although, some prefer more alkalinebr or acidic soil. If you have trouble with a particular plant, check its pHbr requirements and the pH level of the soil in your flower garden. Ifbr your plants look stressed during the growing season, or if you see diseasebr or insect damage, feed your plants with a quick-release organic fertilizerbr (try a blend of seaweed and fish emulsion). Ifbr a plant performs poorly, try moving it to a different location. Whenbr designing a perennial garden, think about how you’ll get access to yourbr plants to stake, deadhead, or divide them. Flat rocks can be used asbr stepping stones within the garden. A walkway created at the back of abr border will be hidden during the growing season, but will make the bedbr accessible for spring and fall chores.